The Contship Italia Group is delighted to announce a partnership with the Foundation Make-A-Wish Italia Onlus, a non-profit organization whose mission is to realize the wishes of young boys and girls aged 3 up to 17, who have been struck by life-threatening illnesses. Created in 2004 with its headquarters in Genoa and an office in Milan, Make-A-Wish Italia is active throughout the country with a network of some 250 volunteers, working in collaboration with the main Italian pediatric hospitals. 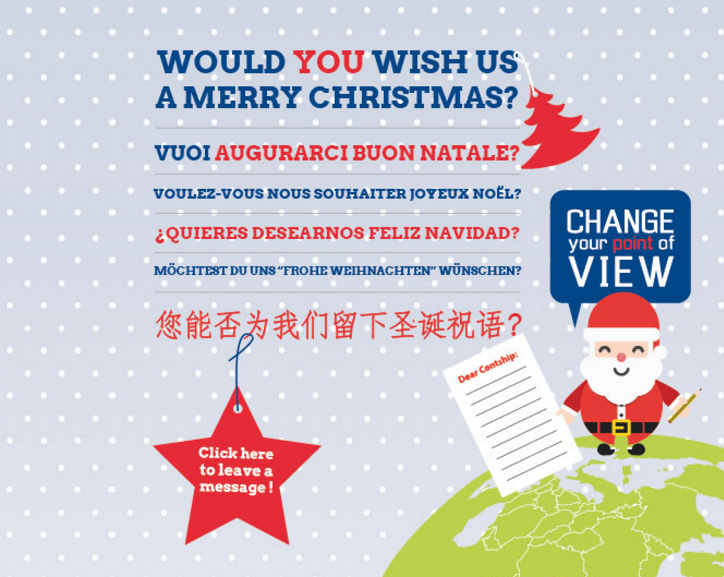 Following the success of the “Wish Us a Merry Christmas” initiative, launched via our newsletter and an interactive Christmas-wish card the Contship Italia Group decided to donate €5 to this worthy cause for every ‘wish’ received. "On behalf of Make-A-Wish Italia I would like to thank you and all in Contship for your important donation which will help us to grant the wish of a very special child: Andrea, 5 years old, is an amazing small boy who has to deal with his life threatening illness every day and has faced more in his short life than most of us have to face in a lifetime. Andrea has a big passion for everything that concerns the Sea. His dream is to go on a cruise in Spain with a stopover in Barcelona because he would love to visit the famous Aquarium. Thanks to your precious support we will be able to grant Andrea's special wish and give him an experience that he and his family will cherish forever. As you know one of the goals of Make-A-Wish is to bring hope, strength and joy to children living with life threatening illnesses. A wish is not a cure, but it is a wonderful diversion from the grown up battle that these children are fighting. Thank you for sharing the power of a wish."